New Group Names Please... but overall Giddy Up! 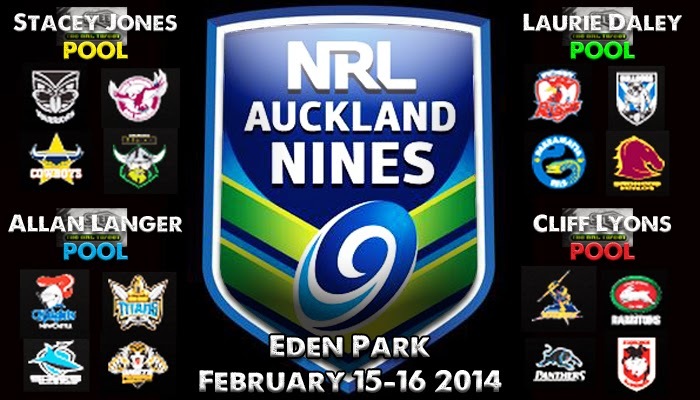 It's been a decade since the last World Sevens was played and now Auckland hosts the reinvented World Nines in February 2014. But what do we think of the concept long term? Everyone seems to have missed the World Sevens since they were seemingly shut down for good at the end of 2004, but with maximising revenue at the forefront of all decision making these days - the powers that be at the ARLC have invested in the return of the Auckland Nines. It'll make boatloads of cash and the fans will love it. But will the big names take part? Well really it doesn't matter a whole lot for the first couple of incarnations of the Tournament - because it is going to be a fantastic spectacle early on and taps into the pre-season buzz that starts to become palpable as January ends, so the February 15 kick-off at Eden Park in Auckland is just about perfect timing. While the ARLC has had key players go on record saying they want to play in the tournament, the fact the majority of those same players are currently taking part in a World Cup tournament suggests the following official selection criteria will be used by many clubs and players to give their stars another week or two rest. "The NRL’s 16 clubs have all guaranteed at least one top five player from each of the club’s salary cap. They will play in Auckland alongside at least 12 of each club’s top 25 salary capped players." Of course that means that four of the top five earners at each club have a free pass to miss the Auckland Nines and while most will probably play, the fact the NRL decided to install this clause is a sign they've finally cottoned on to how selfish clubs are when it comes to protecting their playing assets. Which of course, makes total sense when your single focus as a club is a game in late September or early October - not a carnival of touch football in February. Long term the concept needs the clubs buying in but the vast majority of players will not be short of enthusiasm for the concept as the game begins to bring back events that bring the fans and players together in a way that is hard to top outside of Origin and Finals footy. As anyone who remembers the glory days of the World Sevens - the return of this kind of football in the pre-season is fair dinkum sensational!But to the games themselves - 9 minute halves, 2 minute changeovers and approximately 25 total minutes to finish every game per the schedule which over two days at Eden Park has a game every quarter of an hour. It'll be a total footy fest kids and that's a huge tick for the ARLC/NRL and Rugby League in general. In short - it's a winner. But there is a slight glitch in the planning to date... as the group names offered up are either woefully understated (Yellow, Green, Blue and Red... seriously?) or indeed merely stop gaps to a better idea - as even the colours given that don't really make a lot of sense, otherwise wouldn't the Raiders would be in the Green Group, the Bulldogs in the Blue Group, Eels in the Yellow Group etc where possible? Now there is still a few months before the tournament begins and hopefully the powers that be see the opportunity to recognise some incredible talent that played the flamboyant creative footy that the World Sevens were known for and likely the Auckland Nines will adopt. There are a number of stand-out candidates for the four group names to be re-branded and with the games being in New Zealand - a Kiwi needs to be recognised even if said star didn't play his best footy during the actual World Sevens' heyday. So here are our suggestions for the pool names - which just cannot stay as random colours... at the very least think of the marketing potential NRL. Cliff Lyons was the master of this kind of footy, his natural playmaking skills were a joy to watch as he made all those around him tryscoring threats on almost every play. 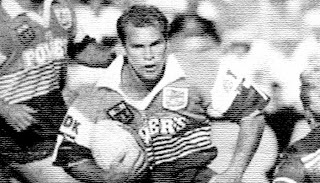 Allan Langer was a genius - his quick thinking, short kicking game and light feet making him a constant threat anywhere on the field. 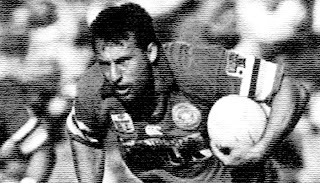 Laurie Daley had the combination of power, athleticism and natural creativity in the first half of his career (before his knee injuries) that fitted the reduced player format perfectly. 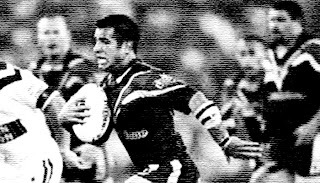 Stacey Jones was the little general in every way for the Kiwis and Warriors with his acceleration and awareness his greatest assets - a combination that thrives in this open space format. 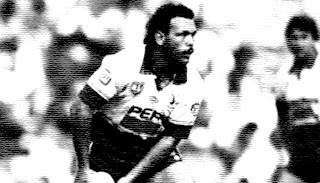 Canterbury's legendary support sensation Terry Lamb is the main unlucky one to miss out, as are the likes of Brad Fittler, Andrew Johns, Darren Lockyer, Andrew Ettingshausen, Phil Blake and probably a few more we've overlooked (not intentionally) missing out to Stacey Jones being the name atop the home town Warriors group. Remember this is about celebrating the players who were around during the World Sevens' heyday - they can always change in the future but a tip of the hat to the players who played this kind of footy in the 13-a-side format would be a nice touch. As for the 'strength' of the groups themselves? Well we can't say there is a 'Group of Death' yet because we don't know how each coach will approach the value of the tournament. 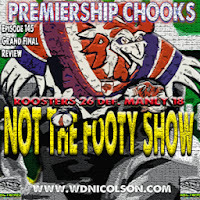 So while some claim the Broncos-Bulldogs-Eels-Roosters group is the hardest - who is to say the Roosters will play all their stars in the first place? Though with another two players than the traditional World Sevens format... will it be as open as we'd like - it better be! Because if it is - the fans will flock to Eden Park the next two or three years and heck, even the players might enjoy the pre-season again! Do you think the Groups should be re named to honour past players who represented and thrived in the old reduce player format? And one more thing: As we mentioned above, the long term value of this tournament will ultimately come down to how the clubs embrace it as a development/entertainment tool for their own players. If a few clubs start to ignore its place on the Rugby League calendar - then and only then, will it be in any long term trouble.